6:00pm – Registration begins. Vendor room opens. 6:15 – 7:00pm – Q&A Education – Get your questions answered! DEALS! DEALS! DEALS! Deal Analysis. Working on something right now but not sure if the numbers make sense… we’re here to help! Workshops are normally held on the Saturday following the monthly meeting. 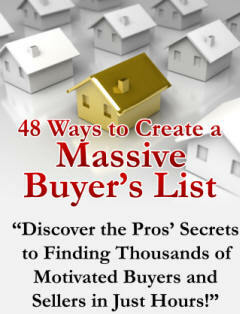 The workshops will typically cover a topic discussed at the monthly meeting in much greater detail. Workshops will be led by Board members and/or local experts. Workshop times are subject to change. Please check details for each workshop in the events section. Workshop locations will be detailed in the events description. Take 1-95 North to the 95th Street Exit. Turn Left on 2nd Avenue. Once you have turned left get in the right hand lane. Take 96th Street to Biscayne Boulevard. Turn left onto Biscayne Boulevard, Miami Shores Country Club is 2 blocks down Biscayne Boulevard on the left. Take Biscayne Blvd (US-1) North. 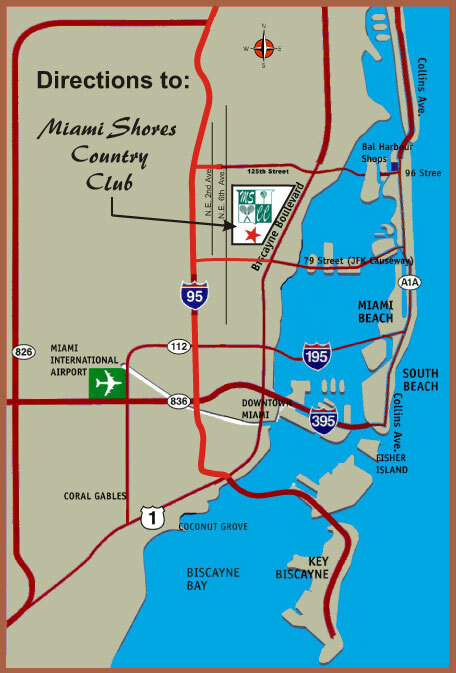 Miami Shores Country Club is located on Biscayne Boulevard and NE 100 Street on the left hand side. Take I-95 South to the 125th Street Exit. exit. Turn right on Biscayne Boulevard (heading North). Miami Shores Country Club is located on Biscayne Boulevard and NE 100 Street on the left hand side. Take 96th Street in Bal Harbour west to the Broad Causeway, go straight ahead after the toll booth, still heading west to Biscayne Boulevard. Turn left onto Biscayne Boulevard (heading south) approximately 2 miles. Miami Shores Country Club is on the right hand side of the street.